A function has been held to officially inaugurated the harbor built in Sh. Kanditheemu. The harbor was inaugurated by President Abdulla Yameen Abdul Gayoom, who visited Kanditheemu this Monday afternoon, as part of his two-day tour of Sh. Atoll. 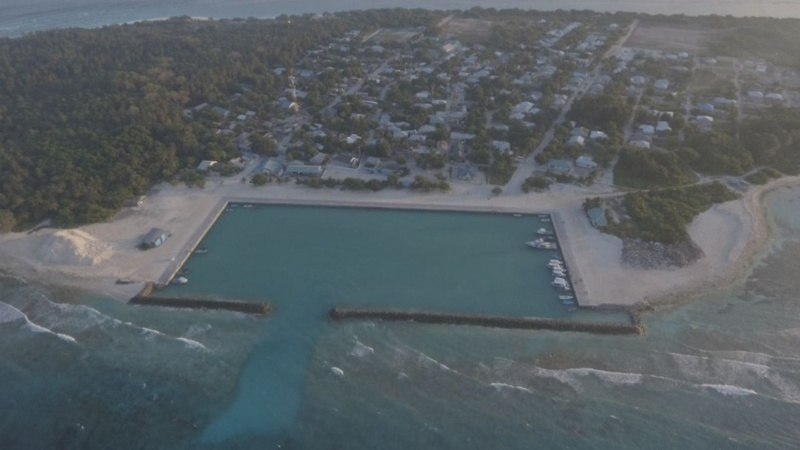 The over MVR 46 million Kanditheemu Harbor Project was funded by the State. The project was launched on April 26, 2015 and completed in February, 2018. The Kanditheemu Harbor Project included increasing the length of the harbor by an extra 710 feet and the width by 300 feet. Revetment walls, a sea wall and a pavement as well as light fixtures were also installed as part of the project.